Arrival into Kilimanjaro International Airport in Arusha. Met by representative outside the customs and immigration halls. Transfer toHotel. overnight at the Hotel. Breakfast and depart towards the Lake Manyara Region famous for its spectacular view. Arrive and Check-in at MANYARA SERENA LODGE. Lunch. Afternoon game drive in the park. Dinner and overnight stay at the lodge. Breakfast & depart for Serengeti National Park. Game viewing en – route to the SERENGETI SERENA LODGE . Check-in and lunch. Afternoon game drive, dinner and overnight at the lodge. A Morning game drive admiring the endless rolling plains, large herds of antelopes and birds in this unspoilt wilderness. Afternoon game drive. All meals and overnight at the lodge. Morning and Afternoon game drive in Serengeti National park with at least two game drives. All meals and overnight at the lodge. Breakfast and departure for the Ngorongoro Conservation Area. Stop at the Olduvai Gorge enroute and continue. Arrive for late lunch and followed by check-in at the NGORONGORO SERENA LODGE. Rest of the afternoon at leisure. Dinner and overnight at the Hotel. Early breakfast and departure. Descend into the crater with picnic lunches. Game drives in the Crater (maximum 6 hours). Return to the lodge later in the afternoon. Dinner and overnight at the Hotel. Breakfast and departure to Arusha town. Lunch at a selected restaurant and transferred to the International or domestic Airport for onward arrangements. Package is based on Maximum 7 Pax (Adult+Children) travelling together in a vehicle. We may have to reroute the itinerary or accommodate in similar Hotels or lodges in case of non-availability. Rates for domestic flights, airport taxes or park fees may be changed without prior notice which will be advised at the time of reservation. Passengers arriving into Kenya and Tanzania may be asked to present a valid Yellow Fever Vaccination Certificate. 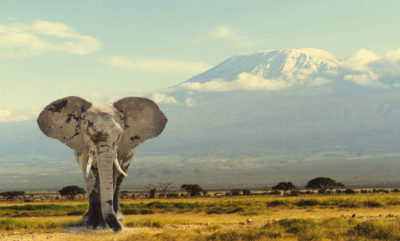 With such a perfect Location, perched on the edge of the African continent, and facing the Indian Ocean, Tanzania’s weather and climate leaves nothing to be desired. Warm and sunny days are followed by cool and balmy nights, and whether you’re on s afari on the Serengeti plains or enjoying the tropical beaches of Zanzibar, the temperatures are always welcoming and gentle.